We’re helping you to get your skin back in shape this year with a week-long Skincare Jumpstart series and leading the way is one of the most anticipated skincare launches of the year, L’Oreal Paris Youth Code Serum Intense. Based on Gene Science technology, Youth Code Serum Intense is designed to speed skin’s recovery power to act more like it did when it was younger. The L’Oreal Paris Youth Code line has been 10 years in the making and includes four products: an eye cream, day/night moisturizer, serum and lotion with SPF 30. 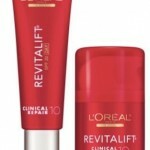 A patented gene-repairing formula called GenActiv technology promises to boost skin’s ability to recover from past and future damage. 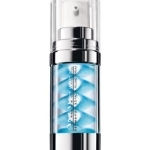 The use of gene science technology was also used in Lancome’s award-winning serum Genifique; a product I love. GenActiv technology has two key ingredients: Biolysat (obtained by a fermentation process of Bifidus bacteria), which acts at the epidermis level and tells genes to act faster in the recovery process. The other key ingredient is adenosine, a molecule that is found in skin cells that acts at the dermis level to produce collagen. The serum also contains peptides and sodium hyaluronate, which helps skin to hold moisture. I’ve been using L’Oreal Paris Youth Code Serum Intense in the morning and evening on clean skin for the past 5 weeks. 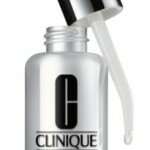 I think it’s a good serum–especially for those that don’t have advanced signs of aging yet–i.e. deep lines and wrinkles. Having said that, I do feel I’ve noted improvement in my skin. 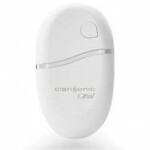 I believe that using this product on a daily basis has been a good addition to my skincare regimen. What I’m not so thrilled about is the fragrance; I’m not sure it’s necessary in a serum. I’d prefer unscented, personally. L’Oreal Paris Youth Code Serum Intense has a suggested retail price of $24.99 and is available at mass retailers including Target, CVS, WalMart and ULTA Beauty. Come back tomorrow for the next edition of the Beauty411 Skincare Jumpstart series!